Agnes Scott is accessible via these stairs with a convenient bike ramp. One of the many shopping opportunities in Decatur Square. The majority of this ride is on low-traffic neighborhood streets with wide shoulders or bike lane and more than 3 miles of a dedicated multi-use path. Because this route intersects major crossings, it is best to roll in the counter clockwise direction as the maps prescribe. 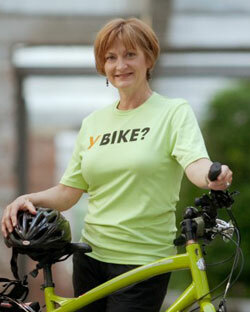 That way you can safely bike through busy intersections controlled by traffic lights. While this route offers a few challenging hills, some downhill thrills, for the most part, it’s gently rolling terrain. When the construction industry took a dive in 2008 because of the recession, Robyn Elliott, a new home inspector, decided it was time to get creative with her future. 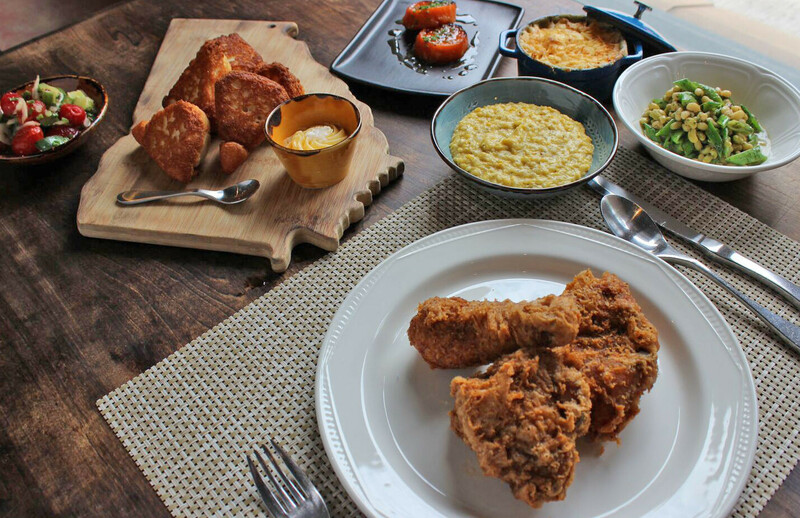 She decided to focus on what she loved: bike riding, meeting interesting people and sharing the beauty and history of her home town of Atlanta. Since then, over 15,000 visitors from around the globe have experienced why Atlanta is such an amazing place to live, work and play! 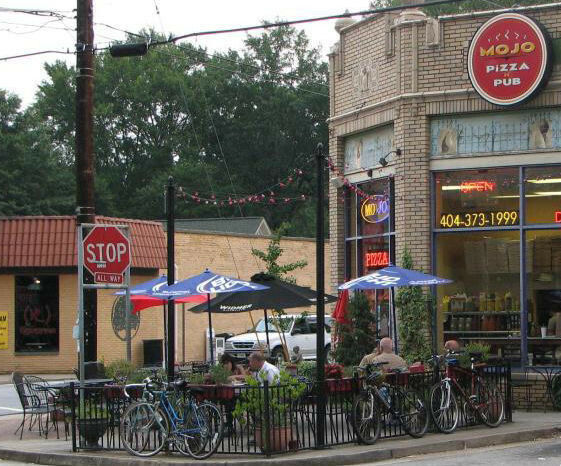 Bicycle Tours of Atlanta - Besides offering the best city bike tour, "Falling in Love with Atlanta", they also rent bikes and are conveniently located near Krog Street Market. $40/day for city bike, helmet, map and bike lock. Extra costs & services include drop off / pick up, lights, basket and tube kit. MARTA - "MARTA allows bicycles on trains at any time of the day or night", itsmarta.com. 100% of buses are outfitted with bicycle racks on the front and they are first come, first serve. Your adventure begins at the Decatur Town Square and roll west. 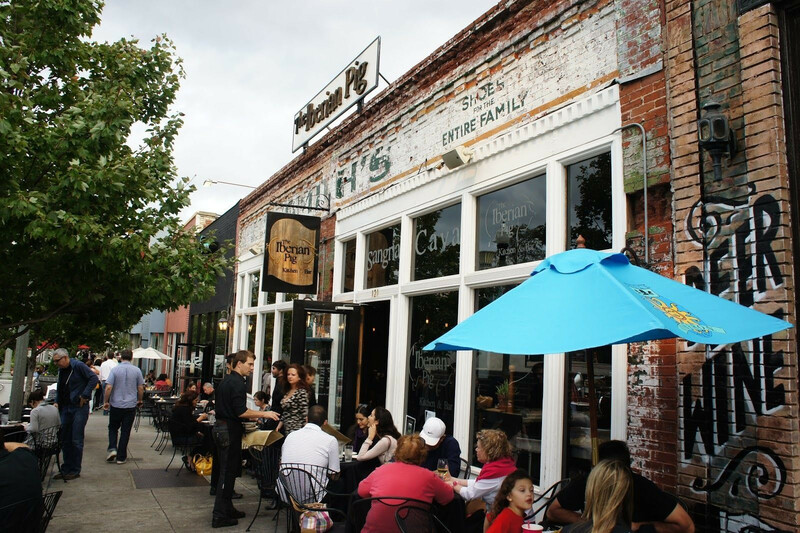 Just two miles in the ride you’ll discover the business district of the Oakhurst neighborhood. 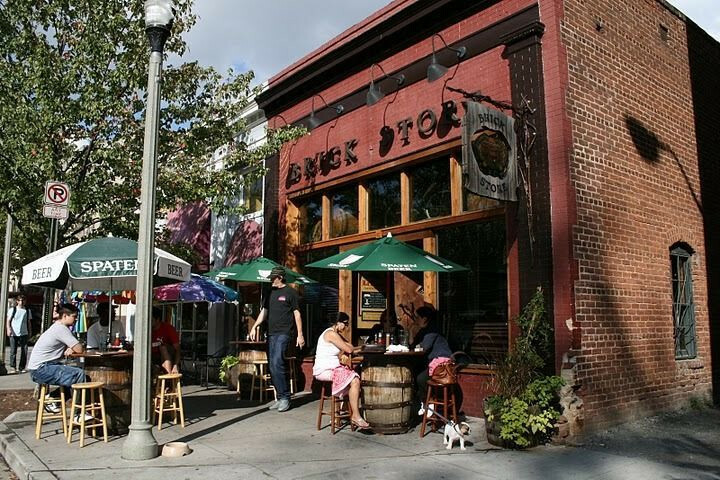 This vibrant, diverse neighborhood was established in 1910 and is known for its community events and festivals. 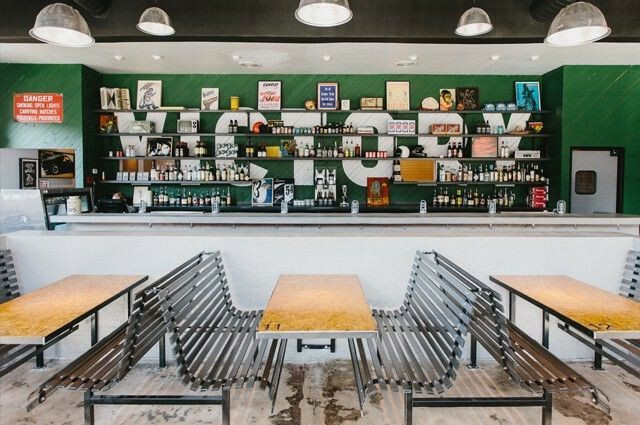 The business district feels like a mini-Decatur and features dining options from the hipster coffee and bar scene to fine dining. 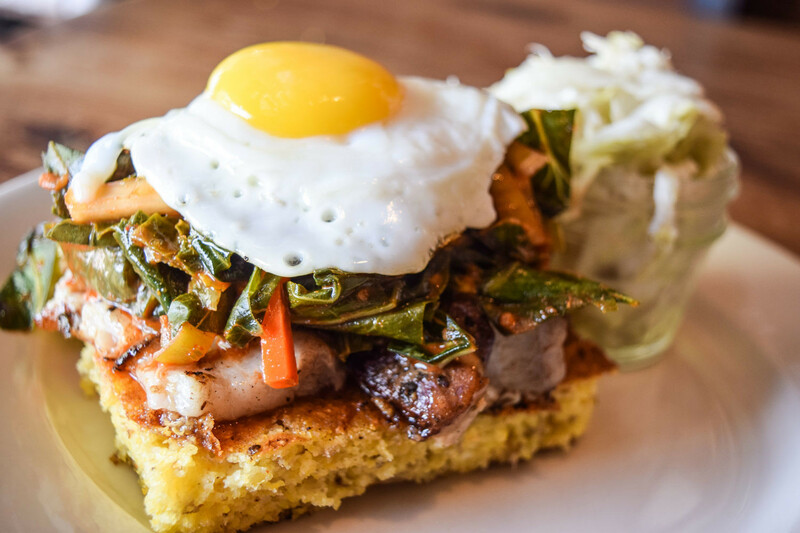 Resist the temptation to roll quickly through Oakhurst Village – there is much to discover! Pick up a book from one of the Little Free Libraries that dot the neighborhood. 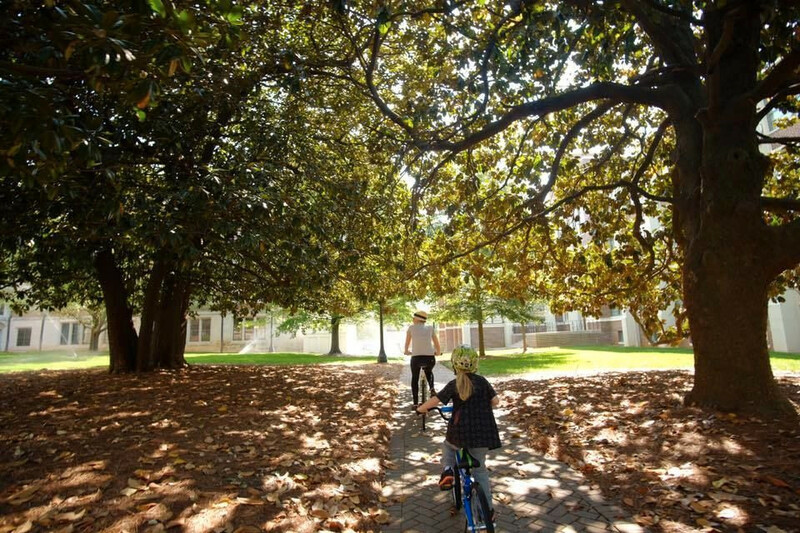 From the eastern border of Oakhurst ride through one of the most beautiful college campuses in the nation, Agnes Scott College. This all-girls college established in 1889 features 19th century architecture and has hosted more than 30 film and television shoots. When you roll through this picture-perfect campus, you will understand why the movie industry returns again and again. Embedded in the midst of suburban growth is a pastoral horse farm. The Little Creek Farm Conservancy is a facility of Dekalb County Parks, Recreation and Cultural Affairs and is not a typical horse farm. Their mission: To promote the stewardship of Little Creek Farm for equine activities, including educational, environmental and recreational outreach programs for the general public. Through their partner organization, Stride Ahead, they have worked miracles in the lives of people who have suffered with physical, emotional and/or mental challenges. Please enjoy this news clip of one young man’s healing experience with the horses at this farm. From Little Creek, cross over a busy roadway near a QuickTrip gas station with clean restrooms, hydration and oodles of snack options. Pack your snacks “to go” because the next stop is the Clyde Shepherd Nature Preserve, an idyllic setting for a break. Picnic tables are located just outside the front entrance. 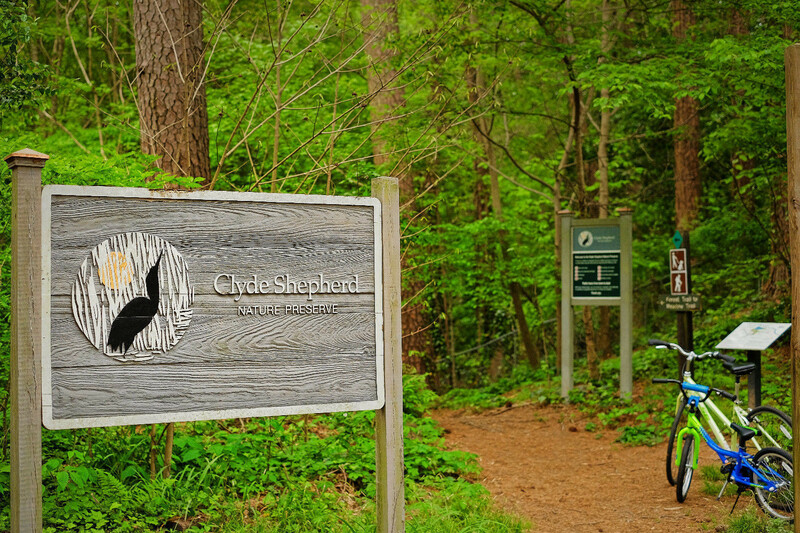 Clyde Shepard Nature Preserve is a 28-acre sanctuary for wildlife, encompassing wetlands, upland forest, and the floodplain of South Peachtree Creek. Bike racks are provided, so lock them up and get lost in the woods for a little while. You are now in the home stretch. 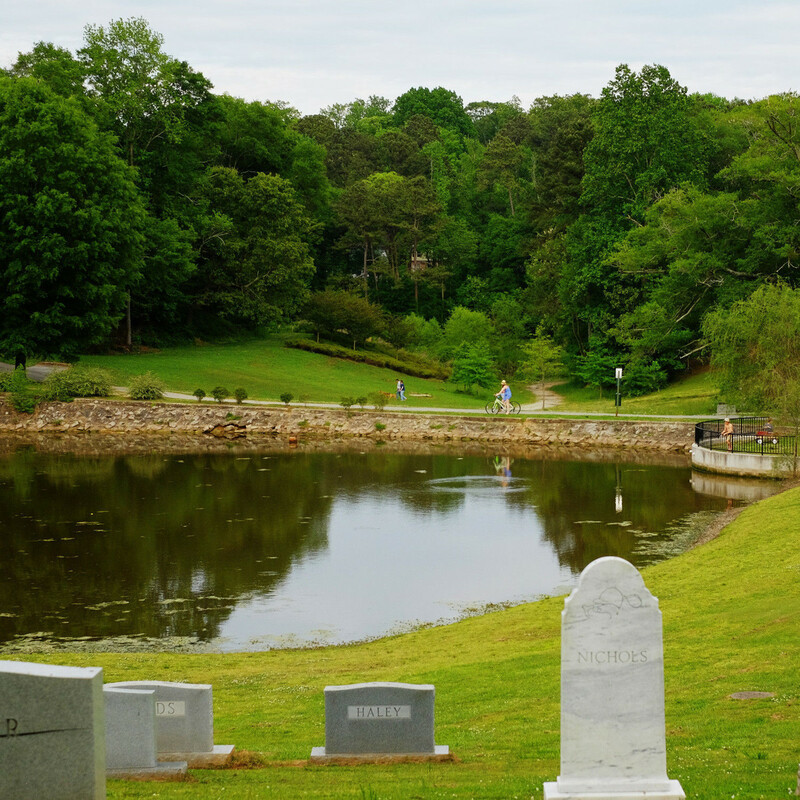 As you enter the city of Decatur, you will explore the grounds of Glen Lake Park and historic Decatur Cemetery. Roll throughout the park on bikeable paths surrounding the property. Along the southern border of the park next to the parking lot, you’ll find an entrance to the Decatur Cemetery, where cycling is welcome. It is common to find joggers, families with strollers and cyclists exploring the grounds. The hilly and curving roads that weave through the beautiful grounds of this Decatur landmark make for an interesting and enjoyable ride. 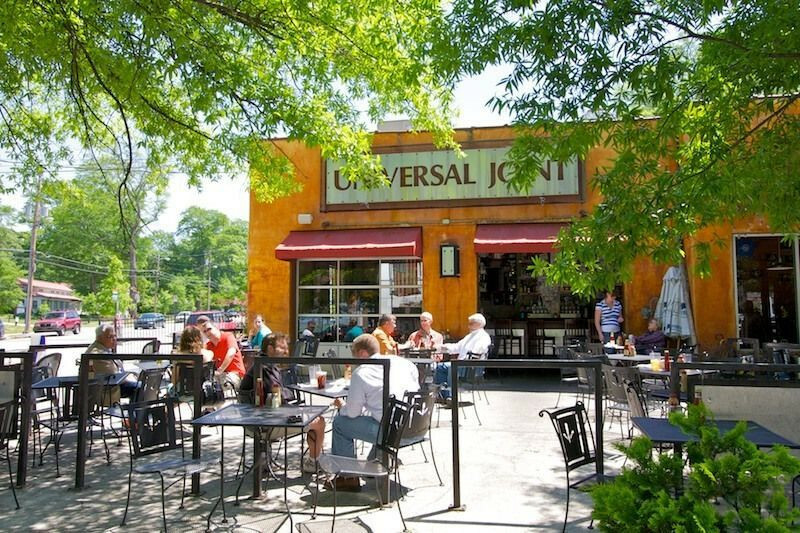 Now that you are back in Decatur, we invite you to find a bike rack, lock up your wheels and explore the unique shops around the square or find a great place to reward yourself with a well-earned meal and libations! 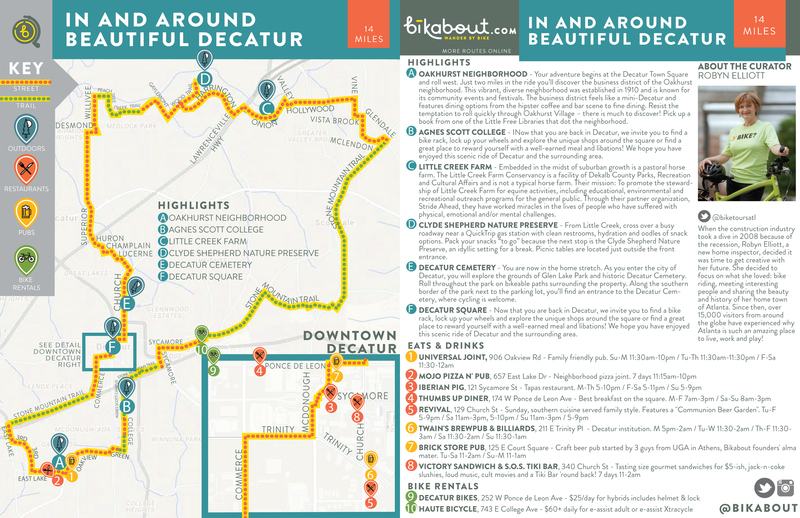 We hope you have enjoyed this scenic ride of Decatur and the surrounding area.